I couldn’t have been more than six-years-old when my best friend Brian’s older sister spun this song for us. Brian’s big sister was on the verge of puberty and so to us, anything she did was cool by definition. We listened to Salt Lake’s KCPX radio because she said it was way better than crappy KRSP or anything else on the AM dial. She knew stuff like that and so when she called us in the house telling us we just had to hear this song, we recognized it was a big deal. She played it twice, and we enthusiastically agreed that it was far out. I didn’t tell Brian or his sister that the song ended up giving me horrible nightmares. The song tells the first-person story of a teenager out on a date with his high school love. As he drives along in his father’s car that he’s borrowed for the night, he suddenly comes upon a stalled vehicle in the middle of the road and has to swerve to avoid it, crashing violently in the process. He wakes up bloodied in the immediate aftermath of the accident, searching for and finding his girl. He cradles her head and gives her the titular “last kiss” as she dies. Alone following her death, he pledges to “be good” so that he can make it to heaven where the Lord has taken his true love so that he can be reunited with her upon his own passing. While grown-up listeners might have thought it a tragic tale of true love, it was an outright horror story to my adolescent ears. I imagined the sounds of the “bustin’ glass” and the “painful scream” of the girl who was about to die, and quickly figured out that the “something warm” running in the eyes of the teen driver was scary blood, man. If the boy’s head was all bloody and he lived, what must the girl who died have looked like? I imagined the guy scooping up the girl’s terrifyingly mashed head. Were her guts hanging out? When he kissed her, was he putting his lips into mushy gore? The part about being good in order to get to heaven didn’t even register. All I could do was try to cast out the increasingly gooey mental picture of the mangled dead girl lying all unrecognizable on the pavement that was haunting my thoughts every time I went alone into my room at bedtime. It took a couple of weeks of leaving the light on before I finally forgot about that particular terror. Hearing the song now, it’s nothing less than awesome. The walking bass line that is front and center throughout most of the song somehow manages to create a memorable groove without taking away from the tragedy in the lyric. The stand-alone drum fills that lead into and follow each verse are immediately recognizable and perfectly separate the progress of the story from the overarching chorus theme. 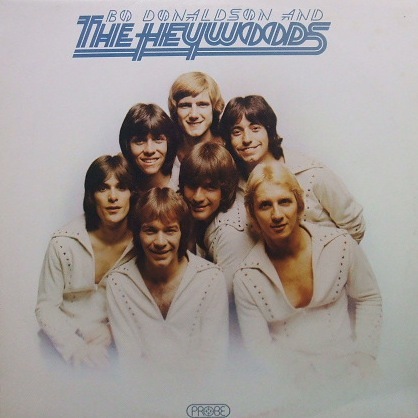 The wordless backing vocals that accompany each verse seem to have been purposefully recorded in the red so that the resulting distortion gives them a sound like ominous wind warning of the terrible events to come. The falsetto backing vocal that accompanies all but the first instance of the chorus isn’t noticeable initially, but listening closely you realize it is that addition that makes the chorus sound more and more pleading and desperate each time it repeats. Nowadays, the dying girl in my mind picture is fully intact and beautiful; she passes due to internal injuries. Nightmare problem solved. I don’t recall much about 4th grade, but I do remember the day somebody brought in the single Billy, Don’t Be a Hero to play for the class. Our teacher, Mrs. Liechty, had a small record player in a corner of the classroom and would let kids play songs they wanted to share for show and tell. A female classmate brought in the record and put it on. I can’t remember how it was introduced but the whole class was enthralled right away. It was 1974 and Vietnam was still raging. While we were too young to pay much attention, we were aware of the war and saw the occasional news clip about soldiers fighting or heard our parents talk about it. We asked Mrs. Liechty to play the 45 over and over; I think she put it on four times over the course of the day. 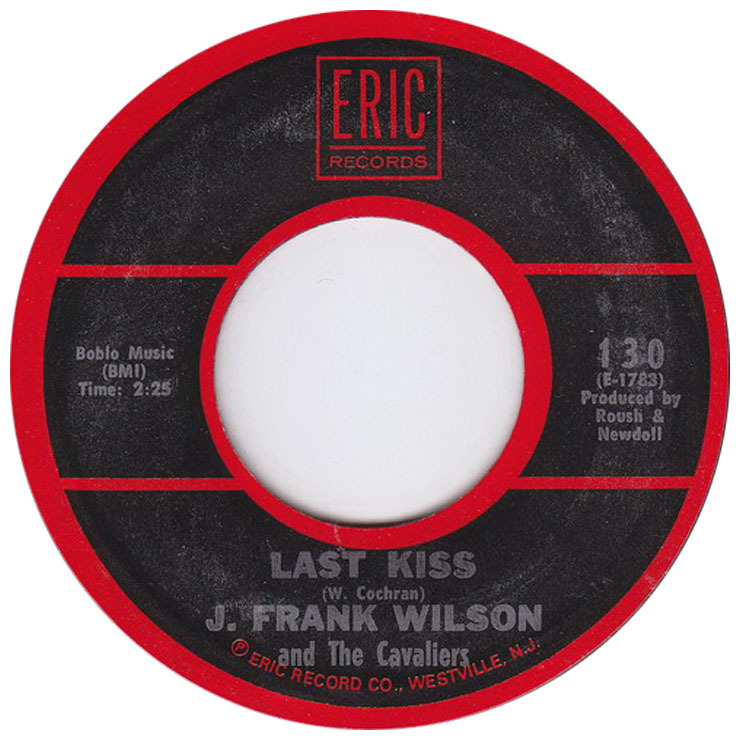 The song tells over three verses how Billy goes off to war, leaving behind his fiancé who solely asked him to “not be a hero” in order to ensure his safe return to her arms. Billy ignores that instruction of course, volunteering to undertake a dangerous mission to bring reinforcements to help his pinned-down unit. We don’t hear exactly what happens to Billy but we are told about the letter Billy’s fiancé later receives informing her of his heroic death, a letter which she throws away in grief to end the final verse. By the time we were let out for recess, a bunch of us continued talking about the song, acting out gun battles while chanting the chorus and imagining what Billy’s valliant death was like. For a 10-year-old with a vague understanding that U.S. soldiers were dying in Vietnam, the story of a guy with a loving girl waiting for him at home who nonetheless volunteers for a super dangerous mission that gets him killed was high drama. 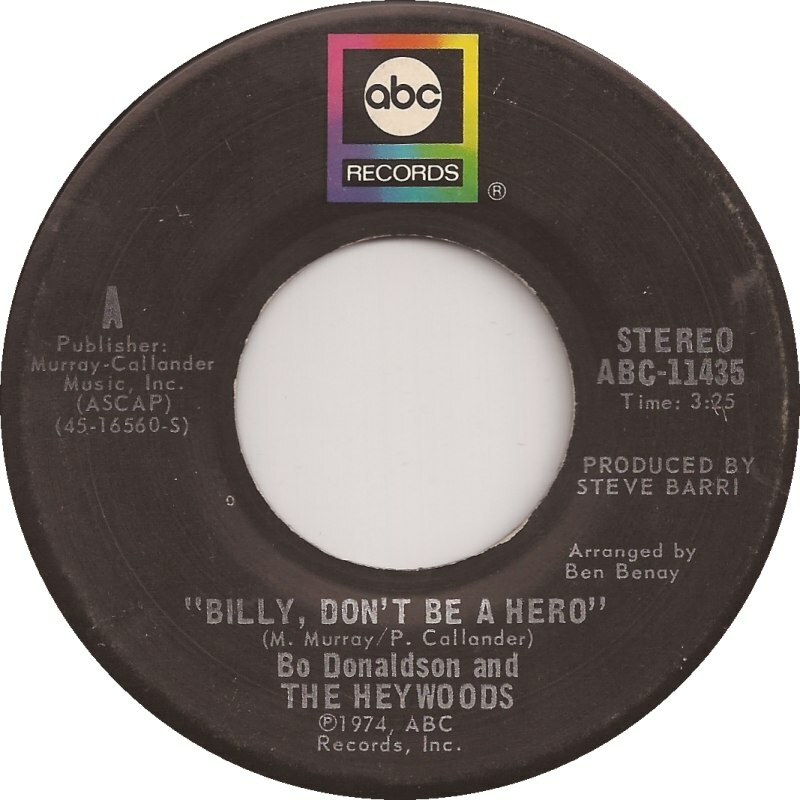 The song’s implicit, unanswered question about whether Billy’s choosing to be a hero was a positive was a deep thing for a preteen mind to contemplate. Listening now, the song actually seems pretty weird. For such a tragic story, it’s downright perky. Electric piano runs, tambourine, and poppy bass lines punctuate the chorus. The vocals sound relatively chipper even during the quieter, toned-down third verse in which we learn of Billy’s demise and his fiancé’s sad reaction to the news of his fatal heroism. The pair of references to Billy and his military colleagues as “soldier blues” seems unusual but fits well lyrically. One wonders who the narrator of the story might be as his relationship to Billy and his fiancé is not explained. He’s a bystander who recognizes the pair and is close enough to hear the fiancé’s farewell plea, but then only “hears about” the letter and the fiancé’s reaction to it. All said though, the tune is catchy as hell and that chorus is tough to excise once it drills its way into your inner soundtrack. Well, what have we learned here? To always buy a motor car with seat belts and full airbags, certainly. And never volunteer for a dangerous mission if you have loved ones at home. Check. Double Check. PPS. Paper Lace had the hit here in Aus. Same chirpy tune though. PPPS. Hope you aren’t being a hero, have your seatbelt securely fastened and your chair in the upright position.